An important aspect of the SWAPTE's workforce investment program is its focus on meeting the needs of businesses for skilled workers and the training, education and employment needs of people. To do that, we partner with the Alabama Career Center. 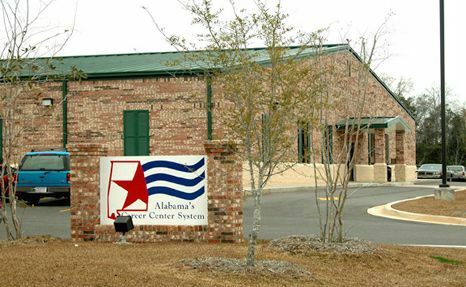 The Alabama Career Center is a one-stop career center, supported by the state of Alabama and the federal government, offering free employment services available to all businesses and jobseekers. Businesses and jobseekers can easily access free employment information at a single location-Alabama's Career Center in Mobile. Our money-saving services contribute directly to your bottom line by helping you to find the right job candidate that will be an asset to your business. Our free services help you in your search for the right job and the right company for you. Need help with your interview skills? Mock interviews available with Employment Service Representatives. Job readiness classes offered twice monthly. View flyer (pdf). The Alabama Career Center not only offers employment services, but also offers training programs through SWAPTE, adult basic education via Bishop State Community College, vocational rehabilitation services through the Alabama Department of Rehabilitation Services and seasonal worker transition services offered through Telamon Corporation.